Of the four albums I have visited in this rock/metal segment, this 1981 offering from the legendary KISS totally passed me by in the year. I can’t even blame it on being in the marines. The reason this album not only passed me by but many others as well was due to the fact it disappeared almost as soon as it was released. According to history, it was reviled by many fans and although it did receive some positive feedback from the critics, “Music From The Elder” was voted the 44th worst album of all time by Q Magazine and 6th in the category “When great rock bands lost the plot.” Nevertheless, being a fair minded bloke, I thought I would give the album a listen and decide for myself. Still, I would welcome any comments, especially from fellow metal blogger and self confessed KISS-a-holic, Stone from Metal Odyssey fame. Let me be totally frank, “Music From the Elder” is nowhere near a patch on great KISS albums like “Destroyer,” “Love Gun,” “Alive” or even some of the albums they made following this one like “Creatures of the Night.” However, the album isn’t as terrible as I feared it was going to be. The opener, “The Oath” was an attempt to create the earlier KISS sound at least as far back as “Dynasty” anyway and it is a notable effort on their part. Then came the instrumental “Fanfare” which had me thinking “WTF?” Fortunately, things return to normal, well sort of. I am sure that with “Just a Boy,” that KISS are trying to sound like The Who here and while not a bad song, it doesn’t leave me thinking, “Okay, cool.” Ace Frehley and Gene Simmons manage to rescue things a bit with the tracks “Dark Light,” “Only You” and “Under the Rose” but then comes the ballad “A World Without Heroes” and I am left saying to myself “No” and that if I was listening this back in 1981, I would say, “Leave the ballads to Peter Criss.” “Dr Blackwell” does go a good long way to redeem things and I do like the guitar solo on this song. Then after another instrumental which isn’t too bad, they try to be creative with “Odyssey.” Not sure if it works though. At the end, barring a very short instrumental which perhaps shouldn’t be on there was a pleasant surprise for me. I have heard the the track “I” before. It wasn’t recorded by KISS but covered in 2000 by the band Hair of the Dog on their album “Rise.” For them, “I” was a great closer for a great metal album and there is little comparison to it and the version done by KISS on this album. 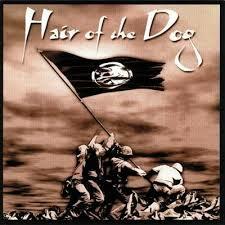 I think that the song was good enough for Hair of the Dog to record it just like the way it is done here. That song should have been the closer. I guess I should mention that “Music From the Elder” was the first KISS album to fully feature new drummer Eric Carr who replaced Peter Criss when he left the band a year earlier. Most of you probably already knew that. 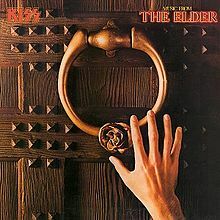 My final verdict here is that if KISS had remained more true to their hard rocking roots, I think “Music From the Elder” would have been a much better album. I have no problem with an album telling a story through its songs, King Diamond”s “Abigail” does that beautifully. It doesn’t mean a band has to go all progressive to do so and that’s where this album falls down. The other thing I can see with the album, with the aid of hindsight, that KISS were beginning to move away from Gene Simmons’ 1980 boast that KISS were four guys equally covering for each other towards simply becoming Paul and Gene’s band. 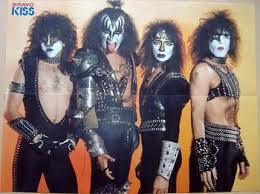 You are currently browsing the 80smetalman's Blog blog archives for August, 2014.